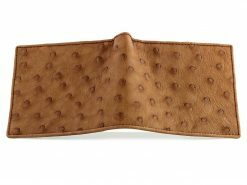 A mens leather wallet grafted using cognac color ostrich quill makes this ostrich skin wallet fit for a king. 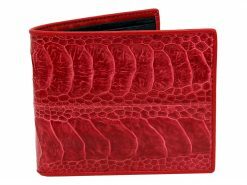 Not to worry if there’s no blue blood in your family tree, this wallet is also available for the average man on the street. 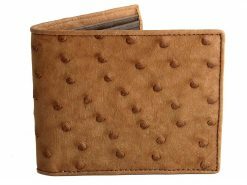 Highly sought after in the luxury leather market, ostrich skin is more durable than many other leathers. 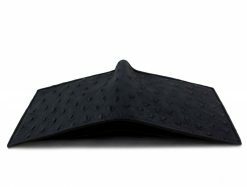 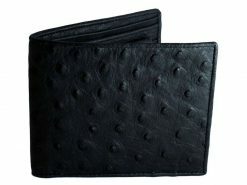 A contrasting black ostrich leather interior sets this wallet apart, making for a refined wallet that’s soft and supple. 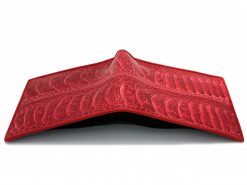 The understated elegance of this mens wallet makes the prefect gift for the distinguished gent who is hard to buy for.